Virtual reality has been a very popular thing, already featured in sci-fi movies ages ago. With today’s technology, it seems like it’s finally becoming a very real thing. But where are we now, where is it going and what do you need to know? There are a couple of ways to achieve a virtual reality experience. However, we’ll focus on the headset-versions for now. 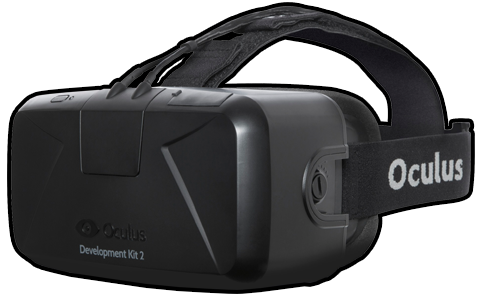 In the past three years, more and more companies announced they’d be developing VR headsets. Right now, the current versions are ready to ship to customers as a nice version 1. They’re a bit bulky, but work pretty well. Movement is smooth and the graphics look convincing enough. The biggest drawback is the resolution. With all of the current headsets, you can actually see where the pixels are. They all look like magnified computer screens. So this is a point which will need to improve over the next 2 years or so. But with 4K monitors -and their dense pixel technology- on the horizon, I’m sure this will be a thing from the past soon. The lenses also tend to be a bit blurry at the edges, and you dó see edges. You tend to forget that pretty quickly, but it still feels like you’re wearing a helmet in the VR world. This isn’t a drawback (actually a pro) for simulation games such as racing- and flightsimulators. The weight is there, but they’re not fitness-equipment either. The fight between the various headsets will be decided by resolution, comfort and viewing quality. I’m certain this will improve over time with all major companies. The more headsets will be sold, the more content will also be available. And when there’s more content, also other companies will start producing them. They will constantly improve, and prices will drop significant within a year. Right now, most of the available content is from the gaming industry. A couple of games out there are either compatible with VR, or even made as a demo for VR headsets. Project CARS for example works very well with the Oculus VR. There are also some movies out there, but they’re mostly still samples or individual projects. I’m also guessing the adult movie industry will pick up on this soon. Mono Panorama video – This is video captured mostly in beautiful 360 degree. The viewer can completely look around. Left, right, back, up and down. You will probably see a small blurry spot, this is where the camerastick was. Most movies are shot with one 360degree camera, or one rig which has multiple camera’s shooting from 1 point. Stereo Panorama Video – This is the kind of video captured with 2 camera’s. This simulates the use of two eyes. Your right eye will see the right-camera’s shots, and your left eye will see the footage from the left camera. Not only can you look around, but you will see perspective, depth and you can give objects a sense of volume. Because the camera’s shouldn’t be filming each other, this is mostly made with 2 camera’s using a 180 degree lens. You can look around left and right, but that’s where the image ends. There is a 360degree stereo-view camera in the making, but expect it to be extremely expensive. Now the various headsets are becoming a real thing, multiple companies have jumped on the VR wagon to hop on. Both Nikon and GoPro announced their panorama-camera’s at CES2016. And they look pretty fine. There already has been some companies who produce panorama-video-camera’s, but they’re either still in development, Kickstarter campaigns or you could either buy their camera, or a modest sportscar. The 360Fly is an interesting option. However, it shoots panorama and the topside. But you can’t look down. As a Canon-user, I just hope they’re coming with something nice. The possibilities are endless. I see a huge potential for social media and online stores. What if you got your house in 3D and you can place IKEA furniture in there while walking through your house? Like it? Tap “order now”. Same goes for clothes, gadgets and basically all products. When you have a 3D version of your model, you can easily present it while the user can interact with it, see depth and get a good idea of it’s dimensions/volume. Yes. Virtual reality is coming, fast. The first products which are actually user-friendly for end users are coming soon, and companies will be delivering content for these new users. The early adopters have been testing the various developer-devices for some time now, and they all love it. You will experience games, movies, online shopping and much more like never before. To me it feels like the biggest step in computing history since the invention of the internet as we know it.